Acupuncture is a therapeutic method used to encourage natural healing, reduce or relieve pain and improve function of the affected areas of the body. Acupuncture is safe and effective and is sometimes successfully used as an adjunct or alternative to medications or even surgery. Acupuncture typically (but not necessarily) involves the insertion of very fine needles through the skin and tissues at specific points on the body. There is no injection of any substance and the treatment itself causes minimal discomfort. 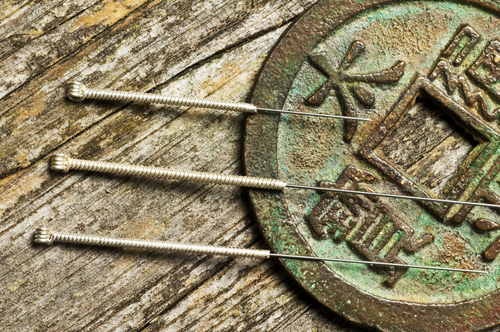 "Classical" acupuncture was developed in China as a system of diagnosing and treating pain and disease. It defines acupuncture as one component of Traditional Chinese Medicine which aims to balance life energy and blood in the body in order to keep it functional and healthy and promote natural healing. Although proven successful for hundreds of years without benefit of modern medical knowledge, it is only in recent years that scientific and medical communities have begun to study acupuncture and explain its effectiveness. "Anatomical" acupuncture refers to a more modern approach taken today by therapists with a more western training incorporating knowledge of anatomy, physiology, and pathophysiology to select which acupuncture points will be treated during a session. Modern technology has allowed variations in acupuncture treatment that do not require the use of needles. Low power lasers my be used instead of needles to stimulate appropriate points. Rubber electrodes or other sorts of electronic devices can be employed to deliver electrical stimulation to acupuncture points. Another technique combines the use of needle acupuncture with gentle electrical impulses. Acupuncture stimulates the body to produce its own pain relieving chemicals called endorphins. These chemicals mimic morphine by attaching to opiate receptors found throughout the nervous system. Endorphins help block pathways that relay pain messages from the body to the brain, resulting in relief or diminution of pain, general relaxation and biochemical restoration of the body's own internal regulation systems. The improved energy and biochemical balance produced by acupuncture stimulates the body's natural healing abilities, reducing inflammation, and promoting physical and emotional well-being.